Beautifully presented this fifth floor apartment is located in the stunning radial complex of One Collins, Hobart. This apartment features two bedrooms, one with an ensuite and walk in robe. Spacious open plan living area with access to a full length balcony which boosts city views. The apartment also features a separate study plus a generous size main bathroom. 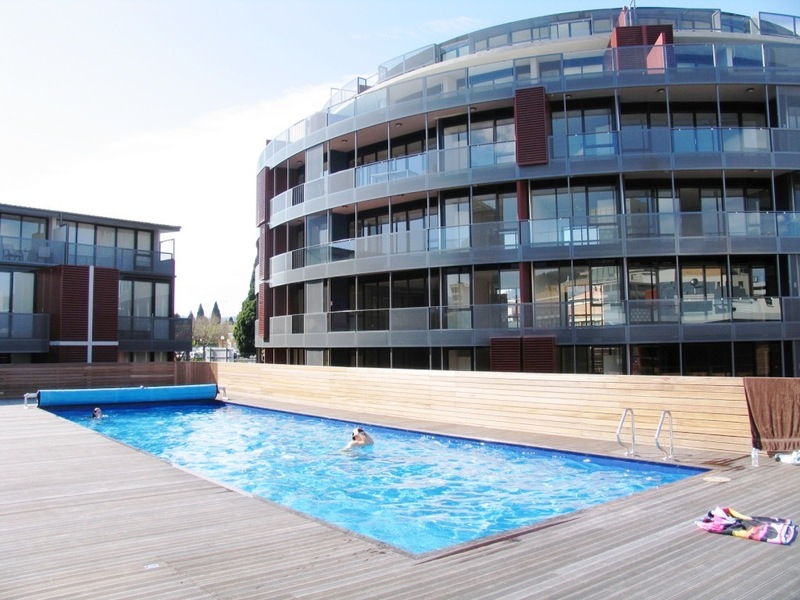 The complex houses a full-scale gym and fabulous swimming pool for the sole use of the residents. Easy walk to the CBD, Hobart waterfront and Royal Hobart Hospital.